I’m sure we’ve all had them in our medicine cabinet at one time or another. Multivitamins are a staple in most people’s kitchens, but they’re not cheap! Most people consider multivitamins to be a sort of “catch-all” supplement that covers all your bases, but in reality, multivitamins fall into one of two categories: water-soluble and fat-soluble. Water-soluble vitamins are easy to absorb and excrete, such as vitamin B and C. This means that your body takes what it needs from these and easily gets rid of the rest. A multivitamin is simply a pill with more than one vitamin in it. Nowadays, most multivitamins also contain minerals. Fat-soluble vitamins, such as A, D, E, and K are absorbed but also stored. Your body takes what it needs and then stores the rest for future use. If too many fat-soluble vitamins are taken, they can become toxic. There are several groups of people who need a multivitamin. Let’s take a look. Pregnant Women – It is imperative that pregnant women are getting adequate vitamins and minerals for both themselves and their growing baby. Masters Athletes – Aging increases the need for proper vitamin and mineral intake. In particular, vitamin D, calcium, and B12 are crucial, as our bodies do not absorb and hold onto those vitamins as well when we age. Restrictive Dieters – If you adhere to any diet that cuts out food groups, or if you are under-eating in any way, it is important to get your vitamins in other ways such as a multivitamin. People with Certain Diseases – Diseases such as Type 2 Diabetes, Crohn’s disease, and those with Celiac disease have the need for a multivitamin. People with a Bad Diet – If your diet is poor, you need vitamins. It’s as simple as that. If you are eating processed foods, and not many fruits and vegetables, incorporate a multivitamin to be sure your body is getting what it needs. Keep in mind, multivitamins are not a solution to the problem. It is just a short-term fix to give your body some of what it needs. But ultimately, the only way to totally solve a poor diet problem is to eat better. The short answer: no. Studies show that taking a multivitamin simply doesn’t make much of a difference. Unless you fall into one of the above groups, a multivitamin on its own simply will not improve your health in a noticeable way. Statistics aside, taking a multivitamin won’t hurt you either. Especially if you are in one of the above groups, namely the last. Runners need to beware their diet while training. Often times, when stress is high or perhaps when you’re traveling, eating well, is less of a priority, or less of an option, which may allow a multivitamin to have a larger impact. Some studies show that multivitamins may aid in boosting immunity, preventing heart disease, preventing cancer, and preventing eye degeneration. There are only two potential downsides to taking a multivitamin. The first is simply that “catch-all” mentality mentioned above. If taking a multivitamin incentivizes you to eat a poor diet because you know you have the insurance of vitamins, don’t take them. The only other downside is that vitamins are expensive, so if you don’t need to be taking one, it isn’t always worth your money. Furthermore, low-quality vitamins can be toxic. 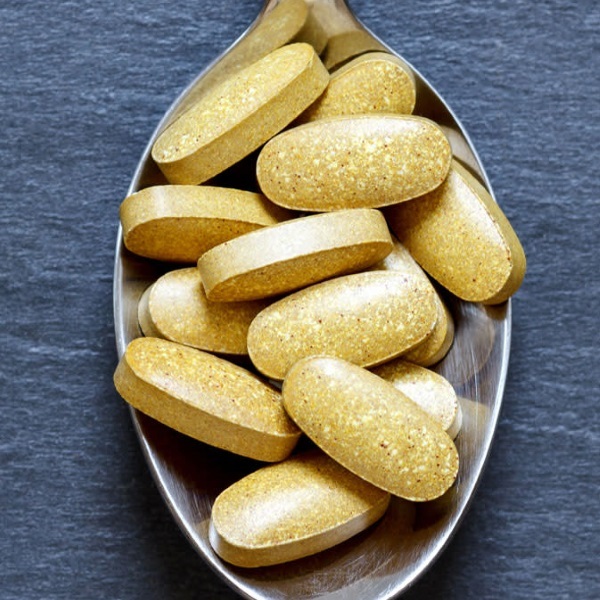 Because the vitamin and supplement industry is not as well regulated as most people would like, it is important to take a high-quality vitamin if you are taking one at all. First, look to see what percentage of the recommended daily allowance your vitamin has. If you see 500% of something or even 200%, that’s a red flag. We want vitamins that are near the recommended daily allowance but do not exceed it. Next, consider the manufacturer’s reputation. Look for a certification you trust such as Informed Sport or NSF. Long story short, do your homework on the brand you’re buying. Make sure you are getting what you think you are getting. In addition, check the serving size and be realistic about how many vitamins you’ll be taking per day. If the serving size calls for you to take the vitamin four times a day every day, ask yourself if that’s really going to happen. If not, it’s probably not worth it. Lastly, don’t pay for the added bells and whistles. Vitamin and supplement companies love throwing in a trendy ingredient to up the price. Don’t fall for it. In general, food first. The best way to get your vitamins is through good, whole, healthy foods. Also, if you are unsure if you’re getting the vitamins and minerals you need, do a blood test and/or consult with a physician. Vitamins are not an area to guess about. Check with a physician before you add any sort of vitamin or supplement to your diet, and know that they are not complete solutions to any sort of health problem!